After revolutionizing the baby food jar in 2008, Naturnes® now aims to facilitate access to information about its products by launching its first SmartPacks. Logic Design is supporting the brand in the design of this digital packaging project. For Naturnes®, the agency has developed Smartpacks® (a combination of “smartphone” and “packaging”), or smart packaging. 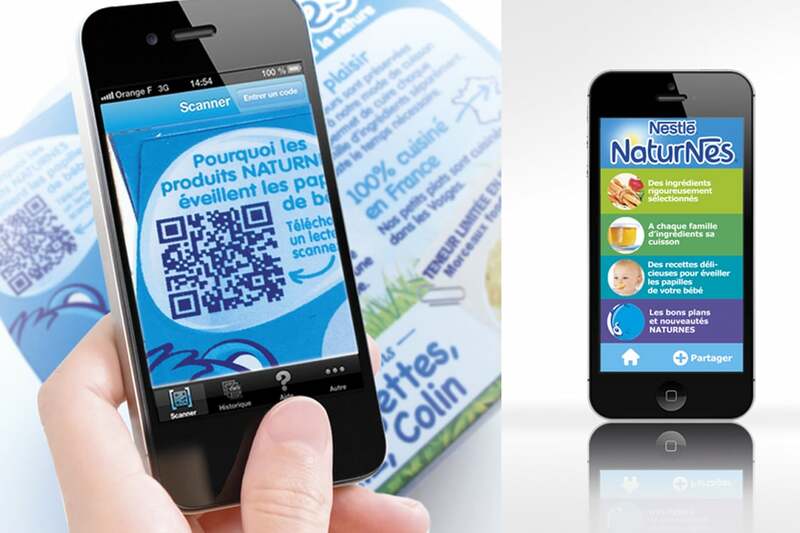 A QR code on the package links directly to a Naturnes® webapp that functions as an effective extension of the packaging. This offers easy access to information that may both be of interest and help to guide the consumer at the time of purchase. At a time when more than 44%* of French households are equipped with smartphones – a number forecasted to grow to 61%** in 2015 – the webapp is now at the fingertips of many consumers. As a genuine opportunity for brands, the Smartpack® provides a tailored response to consumer demand for transparency, and an alternative to the lack of on-package space. All in all, it offers a relevant solution at the time of purchase or consumption, which allows brands to be more transparent, and to guide their consumers in the choice of products or ranges.